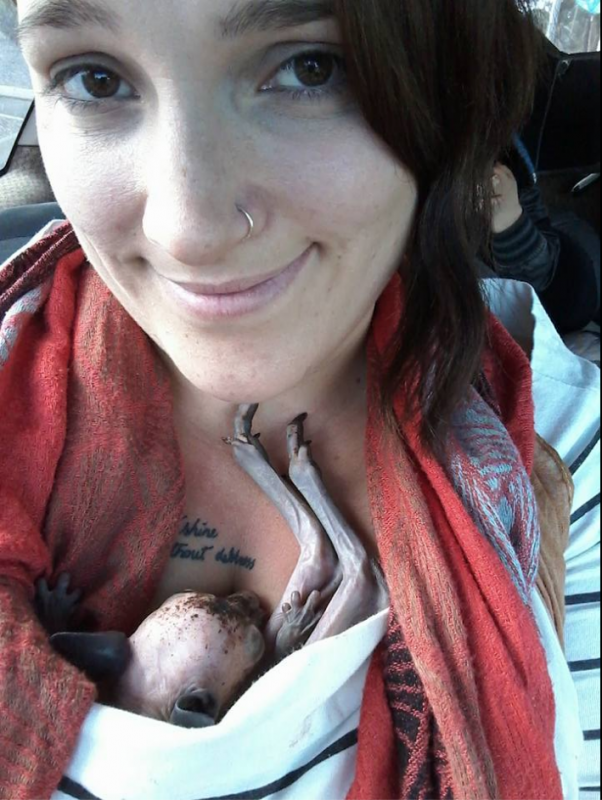 This woman found a lifeless mother on the side of the road, but when she looked closer it was so sad. It was just an afternoon like any other for Chloe Enright from Dunsborough, Australia. 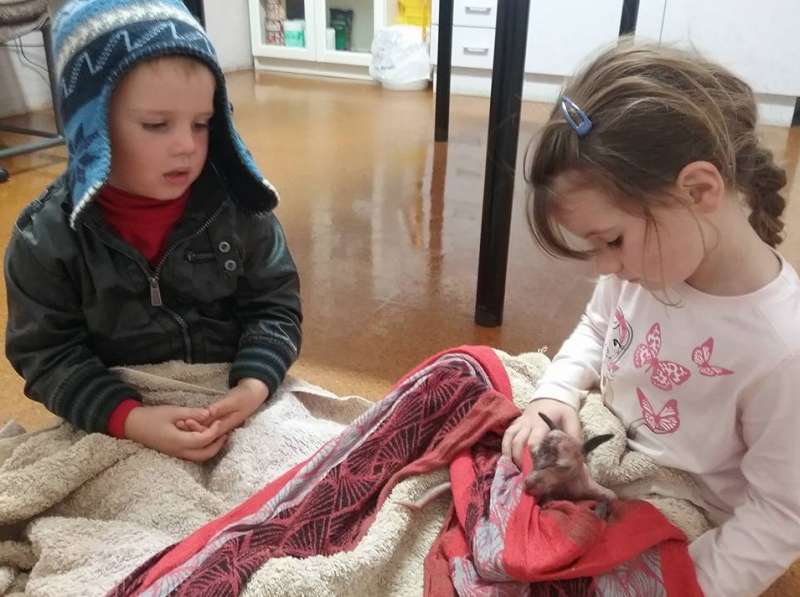 She was driving home with her two kids when she saw something on the side of the road. It was a dead kangaroo. Sadly, this isn't an uncommon sight on the streets of Australia. But somehow Chloe had a strange sense that she should take a closer look. 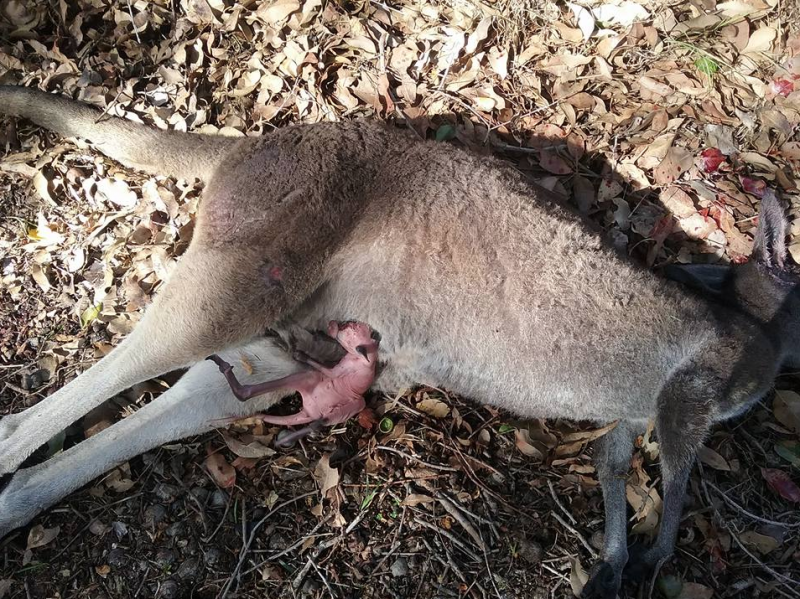 When she got out of her car, she could barely believe her eyes: A newborn kangaroo, or joey, was hanging on to its mother's body. 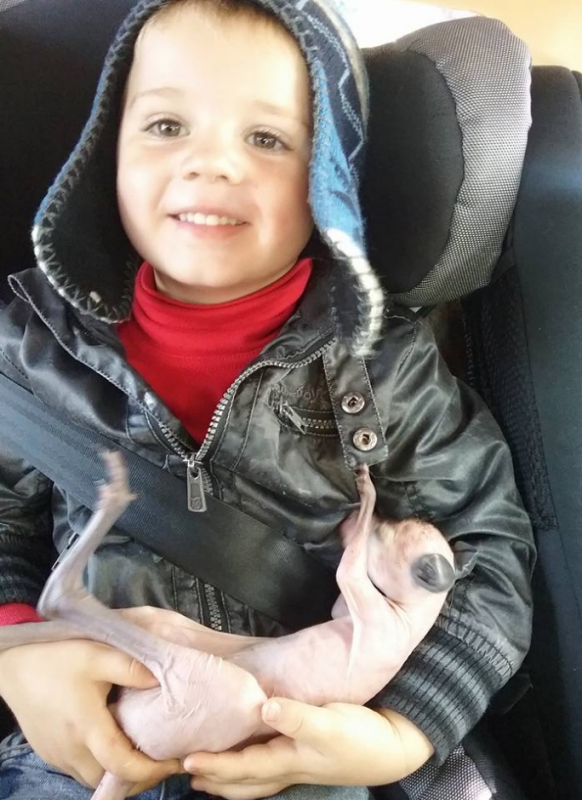 Without pause, Chloe grabbed the joey and wrapped it in her jacket. The baby animal was shaking and crying. Usually, baby kangaroos stay in their mothers' pouches until they have fur and can open their eyes. Chloe knew that she had a lot of work ahead of her. But her kids were excited about the prospect of bringing the little joey home. 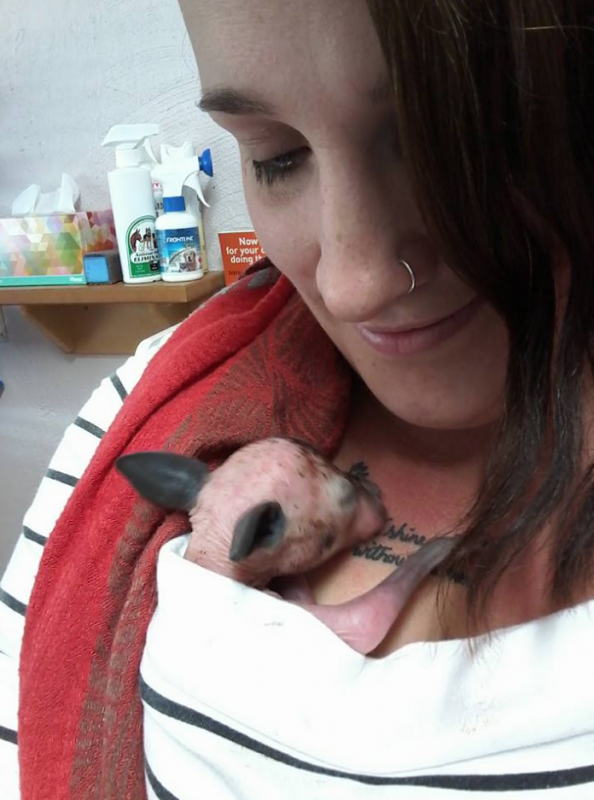 When she got home, Chole sought out information from FAWNA, an organization that rescues wild animals, about how to care for a baby kangaroo. 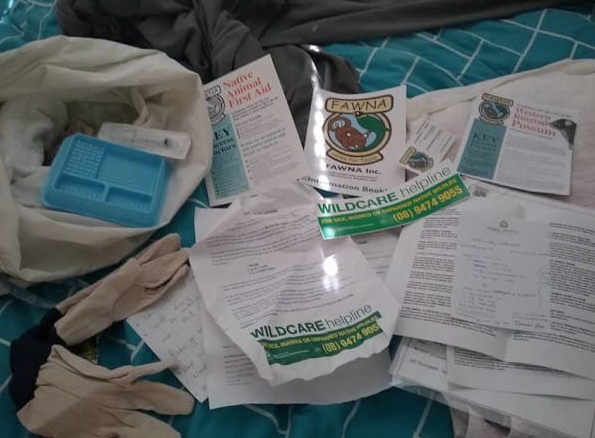 FAWNA sent her a package with the vital information and tools she would need to raise the joey. Most importantly, the joey had to be kept warm so he wouldn't miss the toasty pouch of his mother. He also needed to be fed four times a day until he was 18 months old. 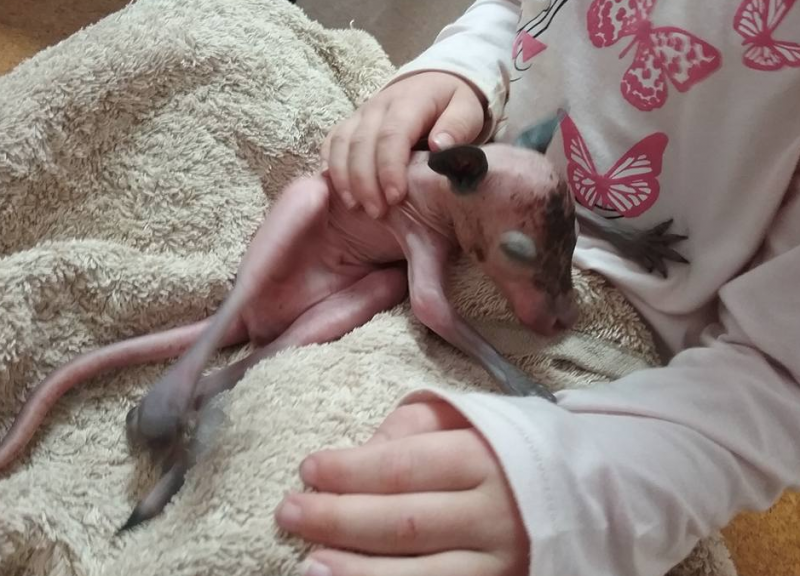 Chloe's daughter Lily decided to name her new friend Angel. Chloe knows that Angel still has a long road ahead of him before he's a healthy kangaroo, but until then she is happy to have another "baby" to care for. This little guy will definitely find the love and nourishment he needs with this family. Thank goodness they found each other!